Having launched to acclaim in Dubai earlier in the year, The Moving Museum arrived in London October 2013 during Frieze Art Fair with its second exhibition Open Heart Surgery – an exploration of London’s most urgent artistic voices, contextualizing their approaches and identifying a new direction of art in a climate of rapid change. 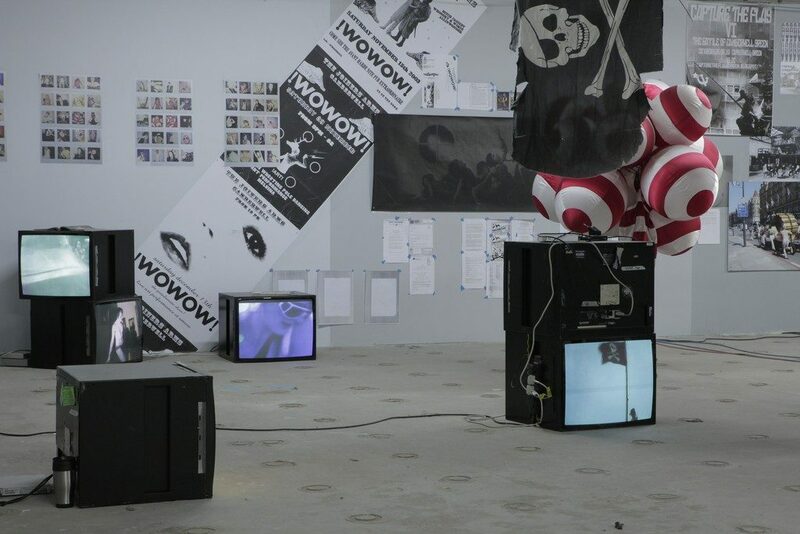 Working from an epicenter of creative, financial, technological and migrational activity, the artists methodically draw from, dissect, re-imagine, and ultimately rise above historical movements, geographies and references, displaying an extraordinary ability to absorb and reinterpret a world that is fractious and in continuous change. Covering a full range of practices and media, the artists in Open Heart Surgery are inspired by living in one of the most diverse and provocative centers of cultural activity in the world. With a selection of the emerging and established artists at the heart of this creative flux, the exhibition offers a rare insight into the individual practices that are developing London’s cultural landscape and laying the groundwork for its future. These artists have galvanized London’s current unique vibrancy; working together, alongside and often in collaboration with each other, their individual practices have benefited from the combined perspectives and shared pool of knowledge that has come to define artistic processes and exchange in London today. A comprehensive publication was produced, and a two-month events programme included a partnership with the Institute of Contemporary Arts (ICA), artist led workshops, performances, a pool party and a GLAMROCK inspired disco.